I am writing on behalf of Nickerson Research in Los Angeles, which is working on a new television promo for the upcoming football season. 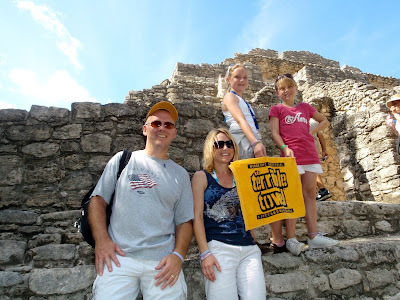 This project is for ESPN and will celebrate the exuberance and die-hard support of the Steeler Nation, waving the Terrible Towel in adventurous locations around the world. Specifically, we are looking for video of these images of fans waving the towel around the world, and I was hoping that some of the followers of Mondesi's House may have some video of you or themselves and their friends that fits that description. We would be very grateful and really appreciate it if you could possibly post our request on your blog, and/or forward this request to your mailing list. Should anyone have video that would work for the project, we would of course compensate them and arrange a formal footage agreement. If you are interested, please contact Stephan at Stephan@nickersonresearch.com. I really need to start bringing one with me when I travel. Where was the one in this article taken? I think that was in Beijing, China during like the volleyball medal ceremony. I agree, potentially best towel sighting ever.